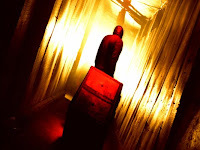 I had not seen Wax Work before, but I needed another Mummy movie for our latest B Grade Movie show and this sounded the most interesting from the list I had. I wasn't disappointed either! What a great little flick! Interesting story, over the top acting, violence and gore up the wazoo. This is how horror movies should be! I have visited a number of Wax Work museums in my time and the exhibits coming to life is always foremost in my mind, but Wax Work takes it to the next level! I even watched the sequel and whilst it is certainly not as good, it still gets points for having Bruce Campbell in it and ripping off the Suspiria score! I had not seen this film since my original viewing sometime back in my childhood. I was surprised by how well it actually holds up, the acting is fine, the story in interesting and genuine and even the visual effects hold up quite well. It also inspired my idea for the next show on How B Grade Movies Saved or Ruined My Life (Kid's Stuff - Movies from your childhood). Stephen Sommers brings the Universal Classic Monster film back to the big screen in a hugely entertaining popcorn extravaganza. 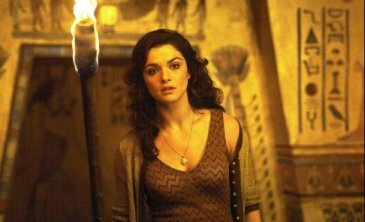 Starring Brendan Fraser, Rachel Weisz and Arnold Vosloo as the title character, The Mummy is a great adventure film and a rollicking good time. My only advice would be to avoid the sequels as though Imo-tep himself had cursed them! Picked this up from the UK on Blu-ray, I previously owned the Japanese DTS DVD and this is a marked improvement on that. 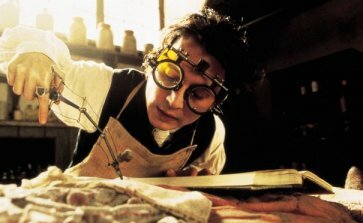 Still one of my favourite Burton movies with a great cast, excellent script and a marvelous "feel" about it. Sadly the Blu-ray does not feature any extras ported from the DVD. Certainly an interesting premise in which a thief has most definitely chosen the wrong night to break into his employers house. The movie plays out in real time and has a number of original scare moments, for me though, the lack of explanation is one of the best aspects of the film. This killer just goes about his business as though he has been doing it for years and whilst there are a few cliche moments for the most part this was a refreshing addition the the horror genre.